JSPG's mission focused on students and early career professionals. The journal's impact could not be realized without the support of its staff and editors. JSPG thanks the many and varied contributions of all past editors, staff members and other affiliates. Shaena Montanari, Ph.D. was a former Director of Communications and Outreach for the Journal of Science Policy and Governance. She is a comparative biologist and science communicator placed at the National Science Foundation through the AAAS Science and Technology Policy Fellowship. She researches the diets of extinct and living organisms using stable isotope geochemistry, figuring out what this can tell us about the climate and environment in the past and present. Shaena was formerly a contributing writer for Forbes and National Geographic as a AAAS Mass Media Fellow. She is also the founder of an outreach program called Dinosaur Doctors with the goal of bringing paleontology to children’s hospitals. She was previously a Columbia Science Fellow at Columbia University and taught a first-year core science course called Frontiers of Science. She is interested in policy relating to climate, environment, and science education. She received her PhD in Comparative Biology from the Richard Gilder Graduate School at the American Museum of Natural History where she was an NSF Graduate Research Fellow and completed her BS in Geological Sciences from the University of North Carolina Chapel Hill. In 2015, she was recognized as Forbes 30 Under 30 in Science. She is a member of the American Association for the Advancement of Science. Matthew Theisen was a former Web Editor for the Journal of Science Policy and Governance. Matthew is a bioengineering Ph.D. student at UCLA and researches kinetic metabolic models of microbes for the purpose of improving production of biofuels and other renewable products. Matthew has published scholarly work in the Proceedings of the National Academy of Sciences. In addition to his scholarly work, Matthew is also interested in science policy especially relating to biofuels, energy, science education and research funding. Matthew writes about science and science policy and has been featured on RealClearScience. Previously, he worked as an engineering assistant at Medtronic in Northridge, California. Matthew holds a Bachelors degree in chemical engineering from the University of Minnesota. Melinda T. Hough, PhD, was a former Director of Outreach for the Journal of Science Policy and Governance. Melinda has advocated to increase the profile and public policy surrounding antibiotic stewardship and sustainable research funding on both sides of the Atlantic. Her previous work includes a Mirzayan Science and Technology Graduate Policy Fellowship at the National Academy of Sciences, co-development of several of the final presidential, congressional, and gubernatorial science policy questions with ScienceDebate.org and serving as contributing photographer for JF Derry’s book “Darwin in Scotland.” She holds a BS in Microbiology from the University of Washington-Seattle, a MS by Research in Life Sciences and a PhD in Molecular Microbiology, both, from the University of Edinburgh in Scotland. Melinda is also the Health Research Policy Adviser at ScienceDebate.org, an Antibiotic Action Champion with the British Society of Antimicrobial Chemotherapy and blogger at SciStarter, a project promoting citizen science opportunities across the United States. ​Sean D. Valle was a J.D. candidate at Duke University School of Law during his time as an editor for the Journal of Science Policy and Governance. Prior to law school, Sean graduated from Stanford University with a B.S. in Biosynthetic Engineering and Honors in Ethics in Society. He previously worked for the J. Craig Venter Institute’s Policy Center, the Presidential Commission for the Study of Bioethical Issues, and Duke’s Science & Society initiative. Originally from Northern California, Sean plans to settle in the Research Triangle region of North Carolina and help transform the Triangle into an integrated, congenial, and collaborative nucleus of scientific and technological innovation. Katherine Touzinsky was a NOAA Knauss Marine Policy Fellow in Washington, D.C., with the US Army Corps of Engineers during her time as an editor for the Journal of Science Policy and Governance. As a fellow, she advises and assists the Army Research and Development Center in engineering with nature-based features for navigation and flood risk management projects and incorporating the term “resilience” into Army Corps policy. Katherine is pursuing an M.S. in Ecological Sciences and Engineering at Purdue University where she focused her thesis on the ecology of Asian carp. Before graduate school Katherine was as a wildlife technician for the US Forest Service, worked on urban watershed recreational corridors for the Susan Hagen Center for Civic and Urban Engagement, and learned how to use an electron microscope while doing histological research on reptiles and amphibians. Her undergraduate degree is in Biology from Wittenberg University. ​Aaron Strong was a doctoral candidate in the Emmett Interdisciplinary Program in Environment and Resources at Stanford University during his time as an editor for the Journal of Science Policy and Governance. He studies the science, management of the carbon cycle across scales of governance. Previously, Aaron was a research associate at MIT, focusing on the scientific and political issues surrounding geoengineering. He has also worked as a scientific technician at the Marine Biological Laboratory in Woods Hole, Mass. Aaron received his Master of Arts from the Fletcher School of Law and Diplomacy at Tufts University in climate change policy and his Bachelor of Arts from Swarthmore College in Biology and Political Science in 2006. Natalie Kish was pursuing a MSPH in Health Policy at the Johns Hopkins Bloomberg School of Public Health during her time as an editor for the Journal of Science Policy and Governance. She works as a research associate for the Johns Hopkins Bloomberg Office of Public Health Practice & Training on a project analyzing the impact of public health spending on health outcomes. In the coming months, Natalie will be work as a Graduate Health Policy Intern with Kaiser Permanente's Institute for Health Policy and as a Project Manager at Epic Systems Corporation. Her research interests include the use of technology to modernize medicine, improving healthcare quality through greater physician integration, and sexual assault policies and prevention programs. ​Joseph Kunkel was a PhD candidate in the Graduate Interdisciplinary program in Genetics at the University of Arizona during his time as an editor for the Journal of Science Policy and Governance. His doctoral research is focused on understanding the circuitry that allows a cell to refine and integrate information from multiple environmental sources, and how cellular circuits coordinate and synthesize this information into the changes in transcription that determine the cell’s response. His policy interests are focused on the application of next-generation genetic technologies in the fields of energy and medicine. Issues of special interest include the development of synthetic organisms, genetically-modified foods, and molecular diagnostics, as well as the potential privacy issues, social repercussions and human rights ramifications that these technologies present. Nathaniel Boyd is a postdoctoral fellow at the University of Alabama at Birmingham in the Department of Cell, Developmental and Integrative Biology. As a recipient of the Ruth L. Kirschstein National Research Service Award, his research explores the relationship between brain tumor stem cells and the tumor microenvironment in the deadly brain tumor Glioblastoma. He received his Bachelor’s and Master’s degree in cell biology and immunology at Georgia State University, where he served as the President of the Biology Graduate Student Association. During his doctoral studies, he served as Vice President of the Graduate Student Government at UAB and the Social Justice Advocate for the Southeastern Region of the National Association of Graduate-Professional Students, working to create awareness and reduce the stigma of mental health concerns among graduate and professional students. Jeffery Jenkins was a Ph.D. Candidate in the Department of Environmental Studies at University of California, Santa Cruz during his time as an editor for the Journal of Science Policy and Governance. He also holds degrees in environment-society geography and regional planning. Professionally, Jeffery has worked in both the public and private sectors where he's instructed geography and practiced planning. His current dissertation research focuses on mining and energy development in the western United States. This work is theoretically grounded in the political ecology of contested knowledge, environmental history and governance of federal lands management, and wildlife-oriented and amenity-based conservation strategies. 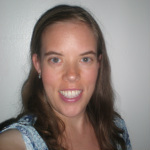 Jordan Gaines Lewis was a neuroscience doctoral candidate at Penn State College of Medicine during her time as an editor for the Journal of Science Policy and Governance. Her research is focused on risk factors for obesity and metabolic syndrome in adolescents, and how these risk factors are related to sleep quality. She is also a science communicator whose work has been featured in Scientific American, The Washington Post, The Guardian, NBC, and TED, among others. Jordan is an active member of the Society for Neuroscience Advocacy Network, lobbying for increased NIH/NSF funding in Capitol Hill. ﻿Kenneth M. Evans was a graduate student in the Applied Physics Ph.D. Program at Rice during his time as an editor for the Journal of Science Policy and Governance. He interns part-time at the James A. Baker III Institute for Public Policy located on campus. His policy research includes nano-technology policy, the federal funding structure for science and engineering, and the relationship between scientists & the public. His dissertation focuses on the fabrication of nanoscale light-emitting devices via ultrasmall semiconducting particles. Matthew Graziose was Assistant Editor-in-Chief of the Journal of Science Policy and Governance. is currently pursing a doctoral degree in Behavioral Nutrition at Teachers College Columbia University. He serves as a research assistant within the Laurie M. Tisch Center for Food, Education & Policy where he leads evaluations of nutrition education curricula in NYC public schools and working on relevant policy recommendations. 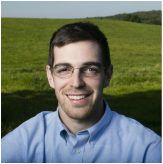 Matthew also serves as a project consultant at the Sackler Institute for Nutrition Science within the New York Academy of Sciences and is an active member of the Society for Nutrition Education and Behavior. Previously, Matthew held positions at the NYC Department of Health and Cornell Cooperative Extension. His research interests focus on the many influences on child and adolescent food choice. Matthew earned his B.S. in Nutritional Sciences from the University of Delaware and M.S. in Nutritional Sciences from The Pennsylvania State University. Elaine Sedenberg was Editor-in-Chief of the Journal of Science Policy and Governance. She is currently a Ph.D. student at the University of California, Berkeley School of Information, where she is a National Science Foundation (NSF) Graduate Research Fellow and a Berkeley Graduate Fellow. Previously, Elaine was a Science Policy Fellow at the Science and Technology Policy Institute (STPI) in Washington D.C., which is a Federally Funded Research and Development Center that supports the White House Office of Science and Technology Policy (OSTP), as well as the NSF and other agencies. She has also served as a consultant for Center for American Progress' online science publication, Science Progress, and completed a Tisdale Fellowship in technology policy. Elaine holds a B.S. in Biochemistry from the University of Texas-Austin where she graduated with highest honors and a Dean's Honored Graduate distinction. Aaron Ray was Assistant Editor-in-Chief of the Journal of Science Policy and Governance. Aaron was pursuing a doctoral degree in political science in the School of Public Affairs at American University in Washington, D.C during his time with the Journal. His focus is environmental policy, with a particular interest in the politics of climate change adaptation. Aaron is also an Institute Associate at the Georgetown Climate Center, where he works on climate change adaptation policy. Previously, Aaron worked for Stratus Consulting and the Pew Research Center and interned at the Council on Environmental Quality and the Climate Institute. He earned a BA in philosophy from Linfield College, an MA in education from the University of New Mexico, and an MPP in environmental policy from the Georgetown Public Policy Institute. Peter Brewitt was a PhD candidate in Environmental Studies at the University of California, Santa Cruz during his time as an editor for the Journal of Science Policy & Governance. His doctoral research focuses on the politics and ecology of dam removal and river restoration in the states of Washington, Oregon, and California. Before working in academia, he spent three years as a naturalist in Yosemite National Park. He holds a BA in History from Dartmouth College. When he's not doing academic work, Peter writes Orion Magazine's Reimagining Infrastructure online column. He likes Pacific salmonids, the Endangered Species Act, and the Boston Red Sox. Lauren Lanahan was pursuing a doctoral degree in the Department of Public Policy at the University of North Carolina at Chapel Hill during his time as an associate editor for the Journal of Science Policy & Governance. Her research interests include science and technology policy, economic development, entrepreneurship, and policy evaluation. She is a Kauffman Dissertation Fellow and is currently working on her dissertation research, which examines the role of state governments in fostering science and technology activity. More specifically, she is examining the impact of the SBIR/STTR State Matching Program on the entrepreneurial efforts of high tech firms. In addition to her dissertation research, she is working with a team of scholars from UNC-CH and GW on a project to develop a new framework and set of metrics for assessing and evaluating economic development investments. 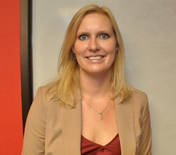 Previously, Lauren worked in the Social, Behavioral & Economic Sciences Directorate at the National Science Foundation. She received a Bachelor of Arts in Sociology from Reed College in 2006. Learn more about Laruen on her personal website. Sukhy Sidhu served as associate editor for The Journal of Science Policy & Governance. Sukhy has a Master of Public Policy degree from Simon Fraser University. Her research examined medical isotope production, their impact on patient care in Canada, and new photo fission accelerator technologies using low enriched uranium to reduce the impact of shortages on patients. Her research interests include science and health policy, along with environmental sustainability. She has previously worked at the Center for Policy Research on Science and Technology in Vancouver, BC, and has been a Policy Program Analyst with the Ministry of Health (in Population and Public Health) since Dec 2010. Sukhy contributes content and provides advice on various Provincial Health Officer reports, and publications produced by external organizations, government Ministries and other health agencies. She is also the Ministry's project lead for a inter-agency public health surveillance program and sits on the Ministry of Health Policy Steering Committee. Ajay Singh was the Editor-in-Chief of the Journal of Science Policy & Governance from January 2012 to July 2013. Ajay is a doctoral student researching environmental science and policy in the Environmental and Social Sustainability Lab in the School of Environment and Natural Resources at The Ohio State University. His dissertation looks at the role of science and public perception in the development of climate mitigation and adaptation policy, planning, and management practices. Prior to his doctoral studies, Ajay served as director of a public participation and mediation firm managing projects that addressed environmental and water resource issues. In addition, Ajay has also worked as a Conservation Planner for a Resource Conservation District in California, as a Natural Resource Peace Corps Volunteer in Honduras, and served on numerous boards of environmental restoration, conservation, and education non-profits. Chanelle Yamada was finishing a master's degree at the University of Chicago's Harris School of Public Policy during her time as an editor for the Journal. Chanelle spent last summer as an intern at the White House Office of Management and Budget and currently serves as a public service intern in the City of Chicago's Department of Innovation and Technology. She completed her undergraduate work at the University of Southern California, where she served as an Associate Editor at Illumin and received a B.S. in Electrical Engineering in 2004. Danielle Vibbert was pursuing a doctoral degree in Health Behavior and Health Education at the University of Michigan School of Public Health and a graduate certificate in Science, Technology, and Public Policy at the Ford School of Public Policy during her time as an editor with the Journal. Danielle's research explores policy implications of adaptive technologies for the aging population. As a policy analyst for the Altarum Institute, a non-profit health systems research organization, Danielle evaluated health information technology initiatives. Heather Thomson was pursuing a doctorate degree at the University of Delaware studying Marine Science, with a concentration in Marine Policy during her tenure with JSPG. Heather previously interned with Ecotrust where she conducted research on ecology and aquatic science. Her research is examining the social costs of electricity generation in Delaware. Previously, she earned an M.S. in Oceanography and an M.A. in Public Service and Administration from Texas A&M University. Her undergraduate degree is in Chemistry from Lehigh University. Nicholas Fitz is a research associate at the National Core for Neuroethics and graduate student at the University of British Columbia. From Washington DC, Nick received his BA in Philosophy and in Policy Studies from Grinnell College. Before starting at the core in 2012, Nick worked in neuroethics at a non-partisan policy think-tank in DC. His work draws on theory and methods from medical sociology, social psychology, and applied ethics. His current research explores social perceptions (of human enhancement, addiction, and wearable technology) and evaluates new technology (electrical brain stimulation). In his spare time, Nick’s partial to pick-up basketball, tube-amplification, and exploring the northwest. Emerson Tuttle is a veterinarian acting as a rotating intern at the North Carolina State University College of Veterinary Medicine. He recently completed a combined D.V.M./M.A. in international policy degree program from Tufts University at the Cummings School of Veterinary Medicine and the Fletcher School, respectively. Prior to graduation he acted as a Centers for Disease Control (CDC)-Hubert Global Health Fellow during the 2014-2015 academic year conducting antimicrobial resistance research with Chulalongkorn University in Bangkok, Thailand. His interests focus on zoonotic disease, public health, pandemic preparedness, as well as the socioeconomic and natural environments that facilitate pathogen transmission. Previously, he has worked with the Food and Agriculture Organization of the United Nations, the World Bank, and the Tufts Feinstein Center on foot-and-mouth disease and veterinary policy in East Africa. Emerson earned a B.A. degree in Biology from Middlebury College. Jean-Christophe Mauduit is a candidate for a Masters of Law and Diplomacy at the Fletcher School at Tufts University where he is Co-President of the Tufts Science Diplomacy Club and studies international organizations and science diplomacy. He was most recently affiliated as a research scholar with the Center for Science Diplomacy at the American Association for the Advancement of Science. Initially trained as a scientist, obtaining a BSc in Physics from Paris XI-Orsay university, a MSc and a PhD in Astronomy/Astrophysics from the Paris Observatory, he worked for the French National Center for Scientific Research on the European Space Agency Gaia satellite mission and at the California Institute of Technology on the NASA Spitzer infrared satellite. His career later took him to South Africa, where he was a project officer for the International Astronomical Union, overseeing more than forty international projects aiming to develop astronomy research, education, and outreach in over thirty countries. He has also been involved in many science education and outreach programs, including Hands on Universe, Universe Awareness and Astronomers Without Borders. He is a member of the American Astronomical Society, the International Astronomical Union and AAAS. Ben Wolfson is a Ph.D. Candidate in the Molecular Medicine program, Cancer Biology track, working in the Molecular Biology and Biochemistry Department at the University of Maryland, Baltimore. His research focuses on the impact of obesity on the differentiation and homeostasis of stromal cells in breast tissue, with a particular emphasis on the role that dysregulation of non-coding RNAs and epigenetic mechanisms have on breast cancer initiation and progression. Ben is interested in the policy and regulation of synthetic biology and gene therapy, and the role of emerging technologies on novel health care strategies. He earned a B.S. in Cellular and Molecular Biology from Tulane University. Emily Byers is pursuing a PhD in Speech & Hearing Sciences at Indiana University where she examines individual differences in speech perception and speech production abilities using a variety of cognitive and linguistic measures alongside neuroimaging techniques. She is a 2017 Christine Mirzayan Science and Technology Fellow at National Academies of Science, Engineering, and Medicine. Emily is a recipient of a NIH training grant appointment to study the role of cognition in speech perception as well as a summer internship at the NIH working in the Language Section of NIDCD. At Indiana University, Emily serves as Managing Editor the science blog ScIU: Conversations in Science and was selected to represent the university at AAAS’ annual Catalyzing Advocacy in Science & Engineering workshop in Washington, D.C. Emily has public advocacy experience working with the locally-funded Children’s Trust in Miami, Florida to provide academic support to at-risk youth and connect their families to available social services. She holds a BS in political science from Appalachian State University, a BA in English and an MA in experimental linguistics from Florida International University (FIU) where she was an Adjunct Professor of English. Jacqueline Robinson-Hamm is a PhD candidate in the Department of Biomedical Engineering at Duke University, where she is researching genome editing for the correction of Duchenne muscular dystrophy. Her graduate work has been supported by the National Science Foundation Graduate Research Fellows program. Jacqueline's undergraduate studies were completed in the Department of Bioengineering at the University of Washington where she researched a novel gene therapy to combat heart disease. She is interested in the nexus of science, communication, and policy, particularly in regards to emerging biotechnologies. Alyssa R. Frederick is pursuing a PhD in Physiology at University of California, Irvine, where she investigates the evolution of disease resistance and the impact of climate change on abalone physiology. Her outreach and advocacy efforts are vast and varied - She works with local underrepresented students in hands-on science with her lab’s ongoing project TIGERS. She interned with NOAA’s fisheries service working on Endangered Species policy, and partners with local non-profits on their abalone-related conservation and education work. As a Climate Action Training fellow, she lobbied Congress for effective climate change policy and continues to engage with her elected officials on issues related to climate change and student support. She created and is co-hosting a podcast, Turn of the Tide, featuring early-career women researching climate change where she will bring exciting new climate-related research into the public sphere. She is also an elected representative on her student government.